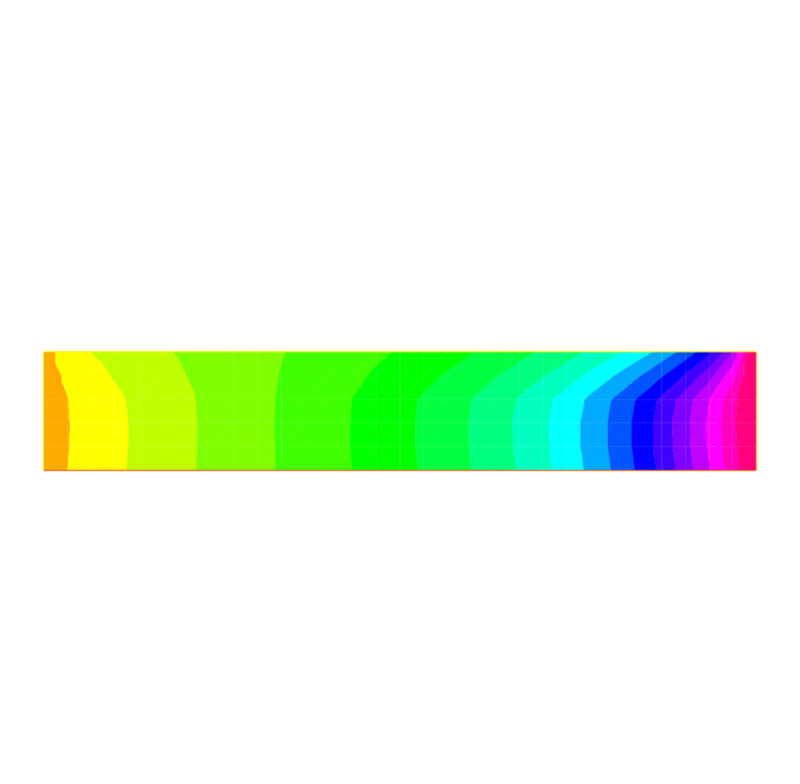 We seek the temperature distribution in a plate \((0,Lx)\times(0,Ly)\times(0,Lz)\) of rectangular cross section \(\Omega=(0,6)\times(0,1)\); the plate is surrounded by air at temperature \(u_e\) and initially at temperature \(u=u_0+\frac x L u_1\). 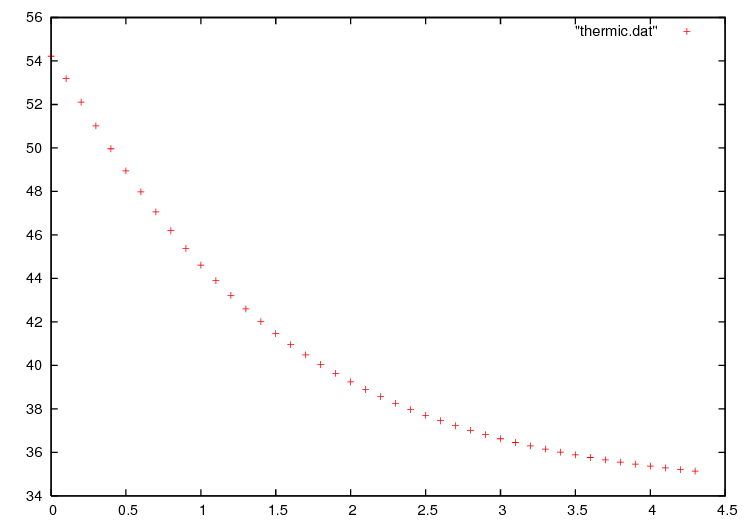 In the plane perpendicular to the plate at \(z=Lz/2\), the temperature varies little with the coordinate \(z\); as a first approximation the problem is 2D. We must solve the temperature equation in \(\Omega\) in a time interval (0,T). Here the diffusion \(\kappa\) will take two values, one below the middle horizontal line and ten times less above, so as to simulate a thermostat. The term \(\alpha(u-u_e)\) accounts for the loss of temperature by convection in air. Mathematically this boundary condition is of Fourier (or Robin, or mixed) type. We must separate by hand the bilinear part from the linear one. Results are shown on Fig. 13 and Fig. 14. Fig. 13 Temperature at \(t=4.9\). Let us now deal with a cylindrical rod instead of a flat plate. For simplicity we take \(\kappa=1\). Note that the PDE has been multiplied by \(r\). The bilinear form degenerates at \(x=0\). Still one can prove existence and uniqueness for \(u\) and because of this degeneracy no boundary conditions need to be imposed on \(\Gamma_1\). because we have the identity \(a^4 - b^4 = (a-b)(a+b)(a^2+b^2)\). The iterative process will work with \(v=u-u_e\).